Dr. Harvey is a graduate of the University of Saskatchewan and has her PhD in Classical Archaeology from the University of Alberta. She became acting director of the Museum of Antiquities in 2008, and became the permanent director in 2009. Specializing in ancient Greek and Roman coins, she attended the American Numismatics Society Summer Graduate Student Seminar in 2004, and is currently serving as the numismatics specialist for the Kastro Kallithea Archaeological Project in Thessaly Greece, a joint project between the 15th Ephorate of Prehistorical and Classical Antiquities at Larissa, Greece and the University of Alberta. Sarah Johnston is in her fourth year of her undergraduate degree at the University of Saskatchewan, majoring in Archaeology and Classical, Medieval, and Renaissance Studies. She has future plans to apply to the College of Education to continue her love of teaching. 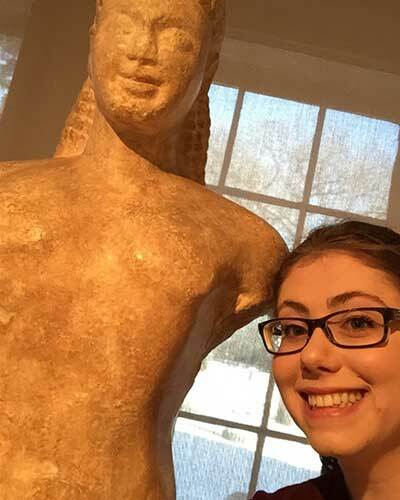 She began volunteering at the Museum of Antiquities during her second year in 2014. Sarah now works as the Education and Outreach Coordinator. 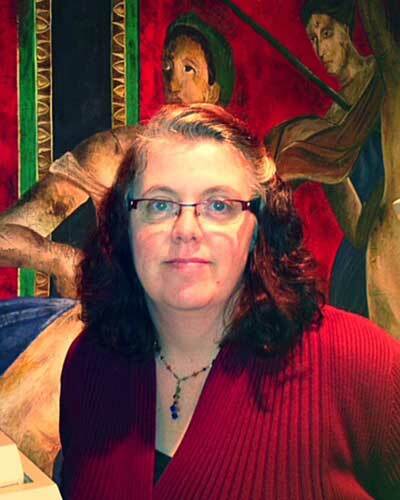 She is in charge of the Ancient & Medieval Adventures Camps, as well as the Hands-On History Saturday Crafternoons. 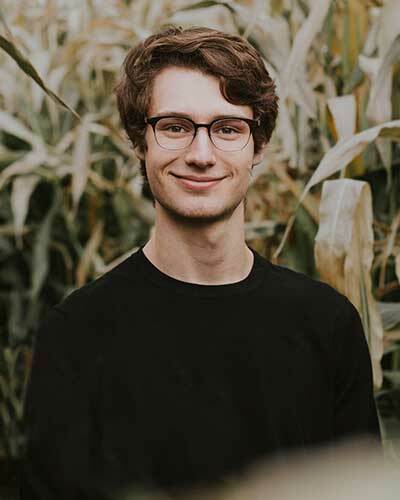 Jackson Hase is a History major pursuing an Honours degree with a focus on Late Antique Christianity. Currently overseeing its ever expanding numismatic collection, Jack's work at the Museum revolves around organizing, researching, and cataloging coins from the ancient world. As part of this work, Jack has also written and built a virtual exhibit to showcase some of the Museum's collection called "Minting A Christian State: Making Heads or Tails of Christian Symbols on Roman Coins". Mikayla is a 4th year undergraduate Archaeology honours student at the University of Saskatchewan. She is greatly interested in the Late Bronze Age, and Near Eastern pottery of the Bronze and Iron ages. Mikayla intends to attend graduate school focusing on these topics. She has spent 2 seasons of excavation at the site of Tel Beth-Shemesh, Israel. Most recently as a Square Supervisor and Pottery Supervisor. Currently, she works at the Museum of Antiquities at the University of Saskatchewan as an Assistant Curator of the recently acquired Pottery collection. 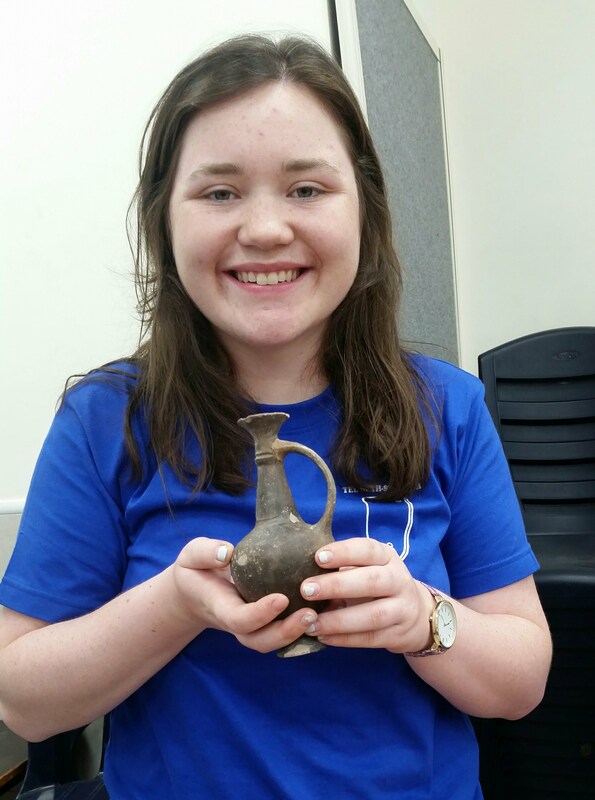 Mikayla loves examining the pottery in our collection for the information it shares about the daily life of ancient people.